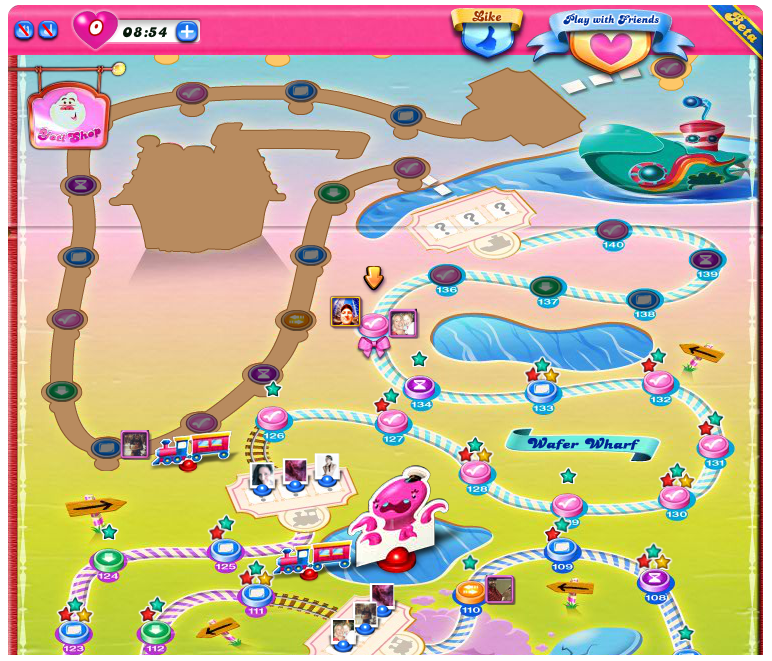 So many friends are playing the game Candy Crush Saga by King Games. It is one of the biggest hits at the moment. It is a simple connect 3 bejeweled type of game, that has been expertly linked to people's social profiles for enhanced engagement. 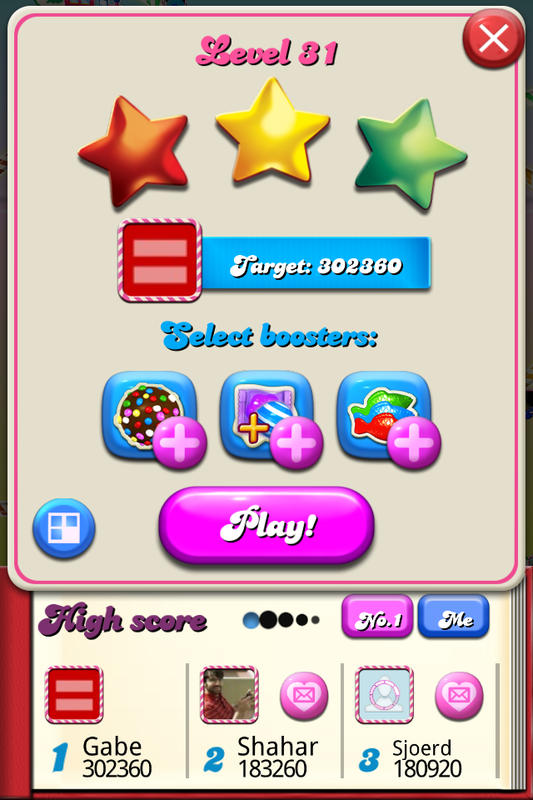 In Candy Crush [it's very addictive], you only have a max of 5 lives at a time. These are given based on the amount of time that has passed since your last life was used up. Of course completing a very difficult level may require more than the 5 lives. Once they are up, you can wait 20 minutes, but a new life for or if you connect to Facebook, ask friends to send you lives. Now I have about 16 lives [11 over the max] at anyone time waiting for me to use up in completing the hard levels. And I don't spend any money on them. Here is my technique. Get in the top 3 list. Tip #1:Get in the top 3 ranks on the early levels. While you are playing the early levels, try and get onto the top 3 high scores. This way people will see your profile more often, as well as the send a life button. Most players stay in the early levels of the game [under level 50] This will make sure you get lots of lives coming from friends because they see you there more often. Don't accept all lives at once. Tip #2Don't accept all at once! In the game you can select to accept lives. Don't accept more than 5 at a time. The game seems to have a limit of 6 lives at a time. Don't waste those lives. Keep those messages containing lives unread until you need them again when you run out. This way I tend to have lots of lives stored up in my messages. Tip #3Out of lives? Switch devices. If you are playing on an iPhone or iPad and you run out of lives, simply goto your computer and play the game through the browser on Facebook. 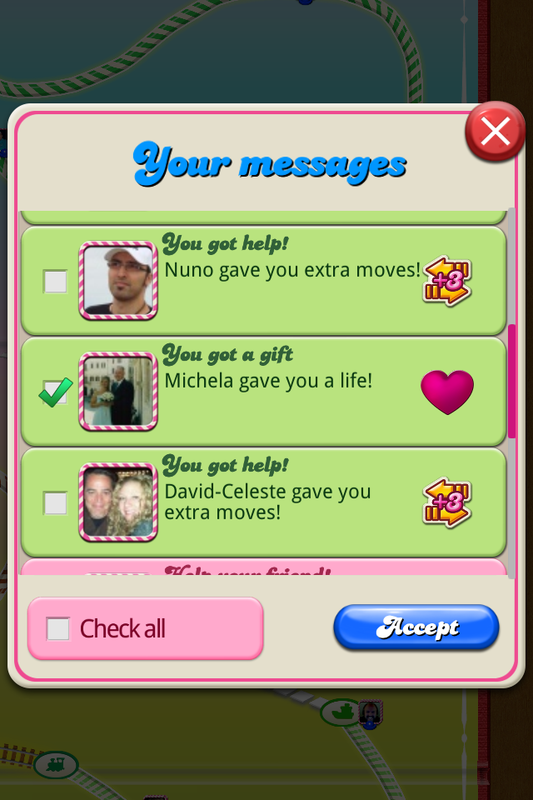 For some reason the Candy Crush servers are not fast enough to remove those lives. So once all 5 are gone on the phone, bam! On the desktop [Facebook browser open] there are 5 lives again. Woohoo!!! As you can see in the pictures below, it works in the reverse as well! No more lives on the desktop? Switch to the phone and play. See, now there are more lives on the phone again. I hope you enjoyed these tips. If you liked them please share them with your candy crush friends.